The knowledge in the field of structural fire engineering has been greatly advanced through assessment of a number of real fires (WTC, Torre Windsor, Broadgate, etc.) and, especially, by the Cardington series of full scale structural fire tests. This knowledge has been used to validate and verify the use of computational finite element models that have expanded the range of structures that can be investigated under severe fire exposure. 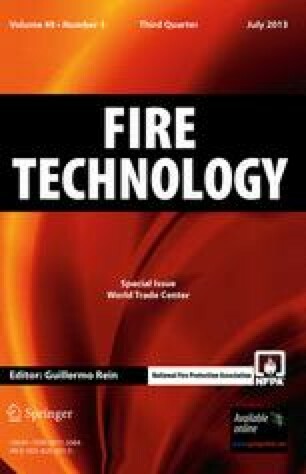 This paper presents a selection of key lessons learned by the authors through the assessment of structures in fire for real commercial building projects. The key areas of sensitivity that have been encountered are described and a discussion of each point presented. The paper is aimed at describing potential weaknesses that have been observed in the commercial work of the authors, often driven by the requirements for efficient ambient structural design. The paper concludes with some suggested advice for structural engineers aimed at increasing the general robustness of building structures. This is based on designing out as far as possible in the ambient design of a structure the potential weaknesses identified in past project work. The authors would like to acknowledge the assistance of Dr Allan Jowsey in several of the projects upon which this paper is based. Similarly the work in this paper has been greatly assisted by on-going collaboration with the University of Edinburgh.